Remembering Shakespeare – exhibition and exhibition blog – will open on Wednesday, February 1, 2012, at Yale University’s Beinecke Rare Book and Manuscript Library. Until then, for now, have a peek; read a sonnet. 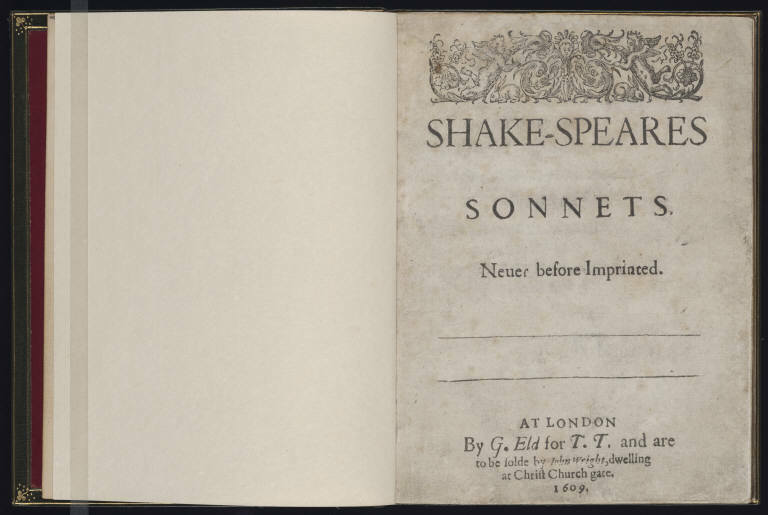 Click on this link to open a scanned copy of the first edition of Shakespeare’s Sonnets (London, 1609), from the collections of Yale University’s Elizabethan Club. Come back on Wednesday for the opening of Remembering Shakespeare, a Shake-a-day exploration of Yale University’s extraordinary collections on Shakespeare, on display at the Beinecke Library, February 1 – June 4, 2012.